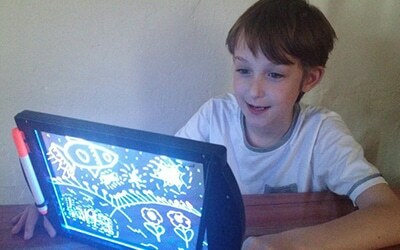 Glow Art is a light drawing board that uses dozens of coloured LEDs to create amazing glowing neon-like effects and pictures. Only £19.95 Click here for more information. 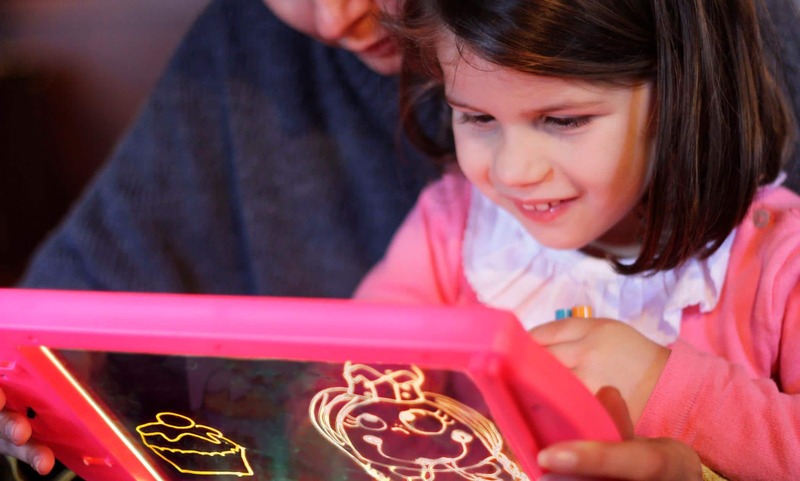 Trace your favourite pictures and bring them to life, or create your own works of art. CDK are world renowned for their personalized alarm clocks, music CD’s and soft toys. Our sister website SING MY NAME has all the information on these products which are great christening, birthday and Christmas/Easter gifts for your newborn through to approximately age 8. Our products are sold in such premium stores as Harrods, Hamleys of London, and Fenwick stores and have been enjoyed by hundreds of thousands of people from all over the world including many celebrity clients. I used my Glow Art board to help me learning perspective drawing at school. 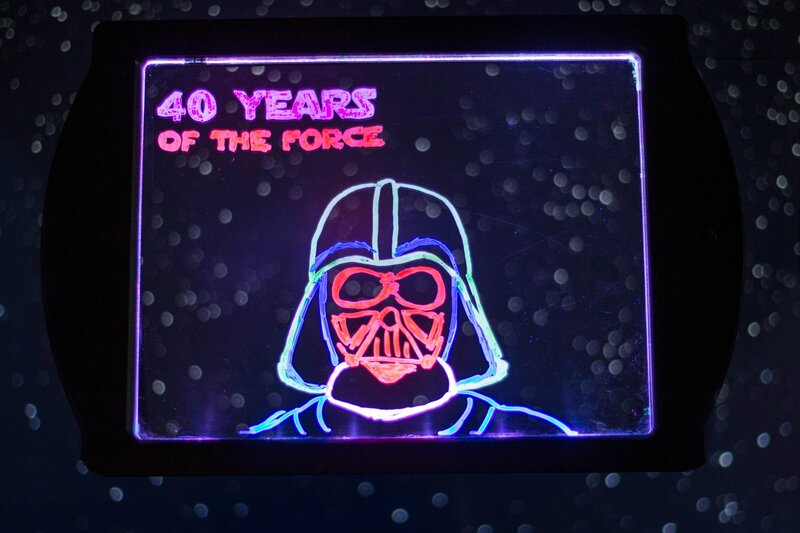 I'm a primary school teacher in Switzerland and bought 5 Glow Art boards for my students as soon as I saw their educational potential. 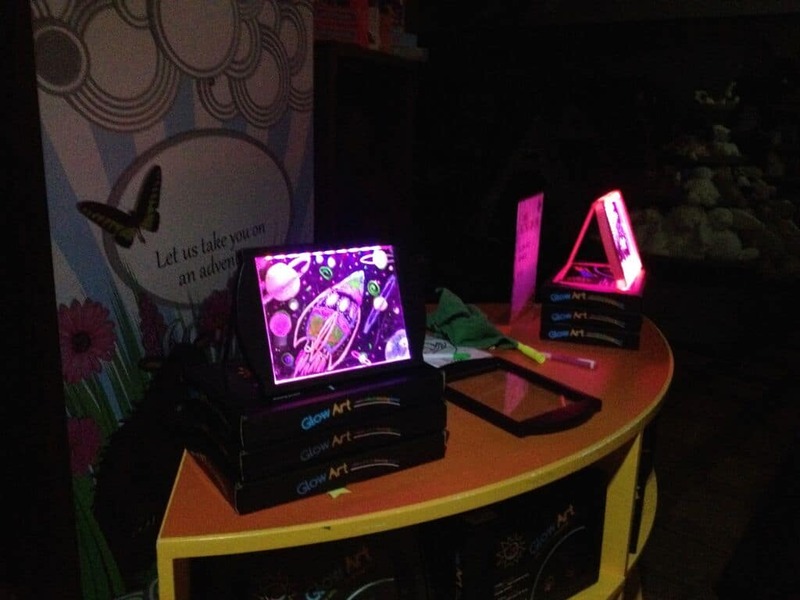 I got a Glow Art board for my two kids and they love it! They keep surprising me with new drawings. These boards are so light that we can travel everywhere with them. My kids use them on the car all the time. I love tracing my favourite movie characters with my board! I never thought this board would be so resistant! My son has been playing with it for a year and it shows no signs of wear.